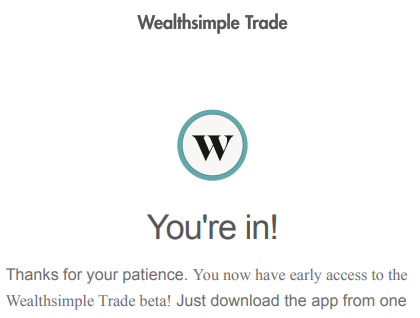 Earlier this month, I received an invite to the highly-anticipated Wealthsimple Trade app. 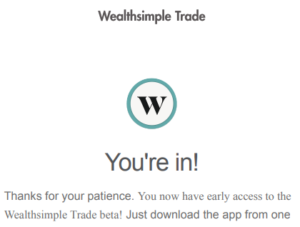 Since it’s announcement back in August, Trade has amassed nearly 100,000 wait-list signups, and I was excited to try it out for myself. 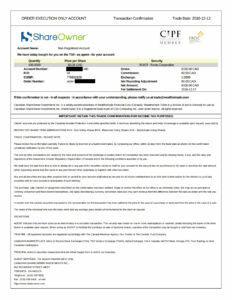 Here’s a first look and some initial thoughts – click on any image to see a full-size version. 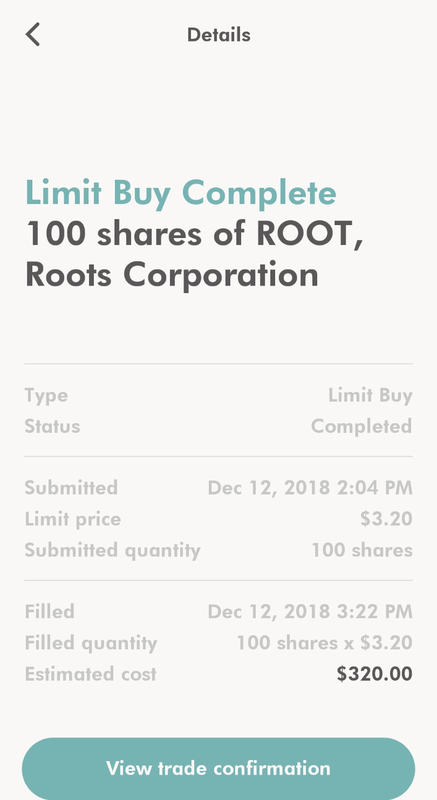 Trade supports limit and market orders, and doesn’t seem to have any restrictions against pattern day trading, like Robinhood does in the US. 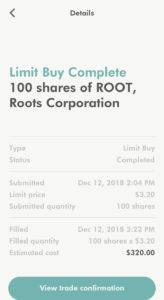 A friend of mine who also received an invite was able to buy and sell multiple securities on the same day without any issues. 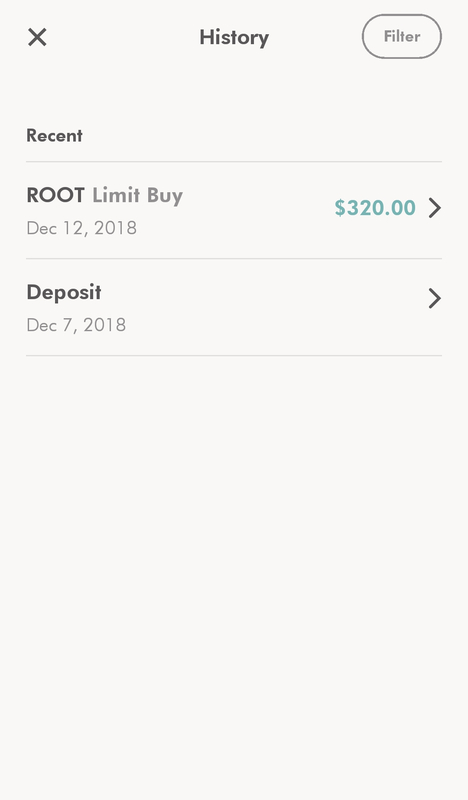 I didn’t see any options for stop-loss orders on either the buy or sell order screens. 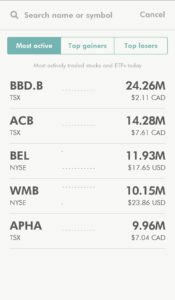 Trades on the TSX in Canadian dollars are completely free, however, if you want to purchase or sell anything denominated in US dollars, you’ll need to pay a 1.5% currency exchange fee each way. 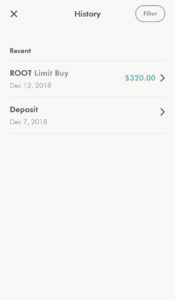 You can’t keep US dollars in your account, so you’ll need to do this conversion with every trade, even if you’re planning on only trading US stocks. 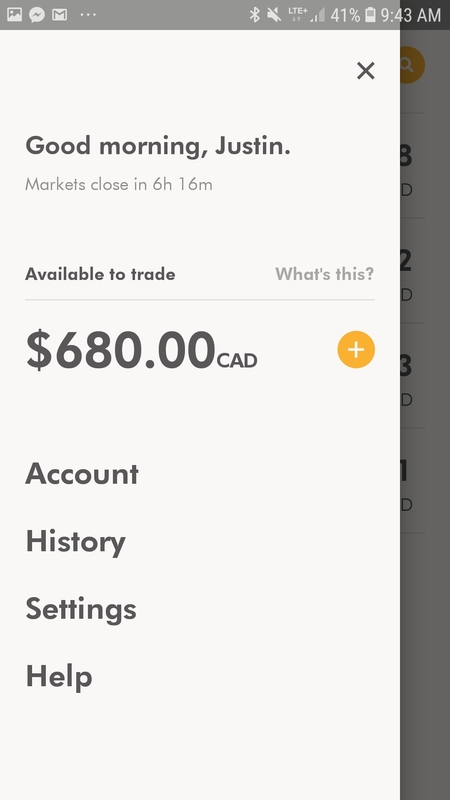 Trade is using Plaid for bank account verification, which allows you to add both US-based and Canadian-based bank accounts, but any USD deposits will likely be converted to CAD at the 1.5% rate (I haven’t tried this). Trade seems to be eating the regulatory fees for now (ie. SEC fees), so those don’t get charged on your trades. 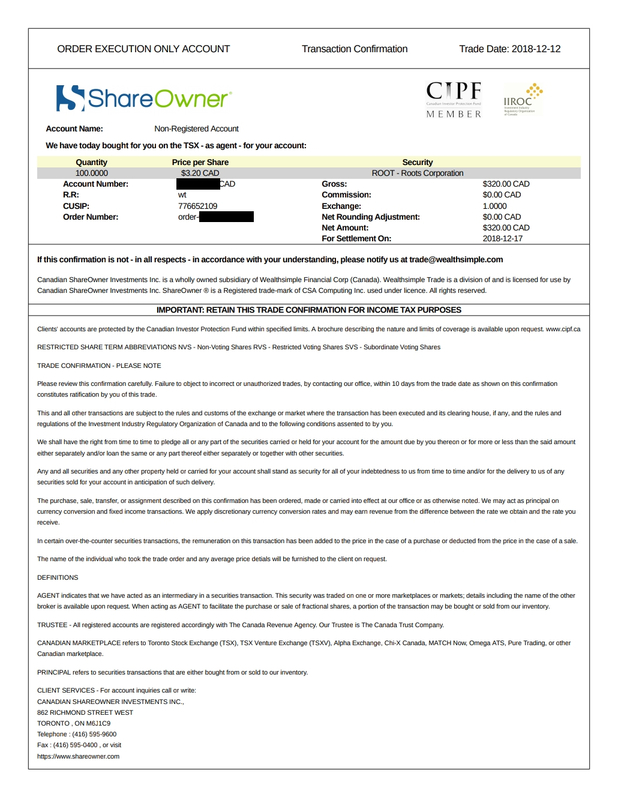 Trade is using ShareOwner Investments, a brokerage they purchased in late 2015, for order execution. 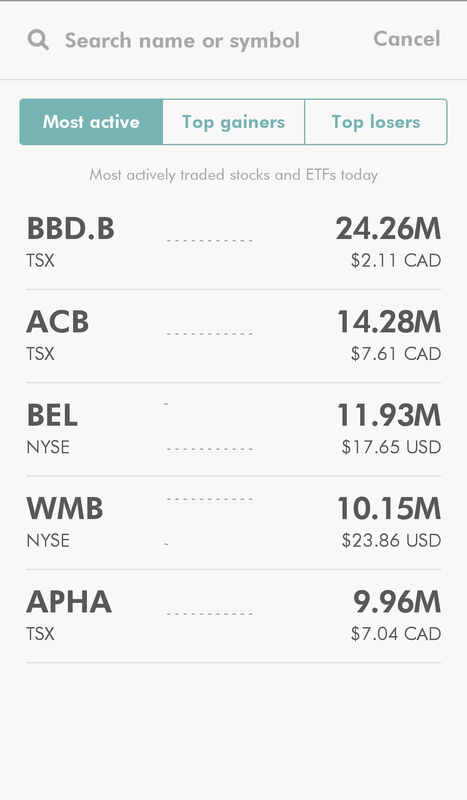 Trade doesn’t seem to show quotes in real-time, with a 15-minute delay as with most other Canadian brokerages. Additionally, charting is somehow even more useless than on Robinhood, with no ability to see the price at a specific point in time on the chart. The chart display is just a static image. The app has watchlist functionality, and configurable email notifications for account actions. 2-factor authentication isn’t supported yet, but according to Wealthsimple support, it’s coming soon. The app also seems to have very long-lived sessions, which could pose a security risk. Unlike most banking and finance apps which require a login on each use, Trade hasn’t asked me to login again since signing up ten days ago, even after a device restart. The app does, however, support a passcode. 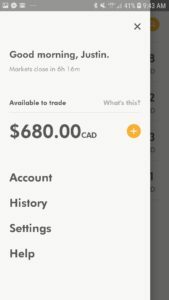 Overall, Trade looks promising and I hope registered accounts are supported soon so I can ditch my current brokerage. The app is built using React Native, so hopefully we’ll also see a web version relatively quickly too.